Light Up Ladysmith – Thanks! This past Sunday saw the town’s 29th Festival of Lights set-up work party. With the weather people calling for a very miserable day… it started off amazingly sunny and just continued to get better. Almost before the 9a.m. sign up time for volunteers to show up there were people lined up to help. The folks manning the registration were not actually prepared for such a large group let alone so early. 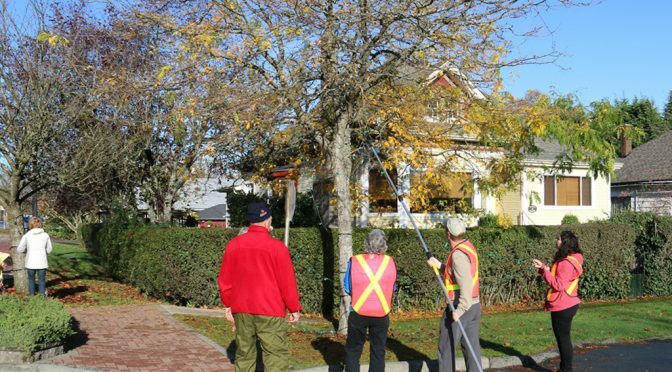 The Ladysmith Ambassador candidates, as well as the three Ambassadors, showed up en masse and tool on the job of decorating the trees along side Aggie hall and then moved on to help with the trees at Bob Stuart Park. 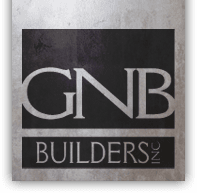 This year the folks at GNB Builders had their entire staff, and families, come out to help, which FOL organizers said was a first that an “organized group” took on doing some blocks. Having a co-ordinated group, that is familiar with each other was neat and they worked very well and quickly said the Greg Edwards, festival president. “With these guys helping it gave us an opportunity to get the decorations done quicker it also gave the Fire/Rescue volunteers a big help”. The Festival of Lights will be celebrating their 29th anniversary on Thursday, November 24th with the parade, spaghetti dinner, lots of concessions and wrapping up with an amazing fireworks show sponsored by the Ladysmith and District Credit Union. The cost to replace bulbs with new LED ones is very high so we ask for donations to help offset the costs. If you can spare a few bucks via our GoFundMe page, thank you. My husband John and I are from Nanaimo. We are spending three months in the wonderful Californian sun, and enjoying the many cultural events and festivals held at this time of year in Palm Springs. Yesterday we spent time at the International Tamale Festival and had delicious treats. However why I am really contacting you is to inform you that you have ruined all Christmas Parades for us!!!! In 1987, Bill Fitzpatrick and a couple of Ladysmith merchants agreed that the town needed some more festive street decorations to enhance Ladysmith’s heritage/revitalization project.